Jane Walls lives in Spring, TX with her husband and their feline children. She has been in education for 11 years, since graduating from Texas A&M University, and she’s been the sister of an autistic brother for 22 years. She has served as a middle school Social Studies Inclusion teacher and an elementary school Resource teacher. Jane has also earned several leadership positions in education. Her work as a Social Studies Department Chair and as a GT Coordinator has given Jane lots of experience leading teachers and helping them implement and adjust the school curriculum. Her experience as a Special Education Department Chairperson has allowed Jane to gain an in-depth understanding of the relationship between State Special Education Laws, and the District interpretation of those laws. Specifically, how school districts implement special programs and how they struggle to meet the needs of each individual child. 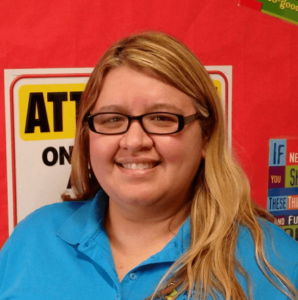 Working with students with disabilities is her passion, and helping children feel and be successful is her life’s work. Autism awareness and improving access to effective autism education for all children is a cause very close to her heart. Being a part of a very close family that lived with the issues and challenges associated with autism allows Jane to truly advocate for her students and their families. She has witnessed the benefits of early intervention and effective and tailored behavior intervention first hand.